This introvert/extravert is kind of a popular term right? It was first found out by one of the great psychologist from Germany, Hans Eysenck. I believe that we already familiar with its meaning. 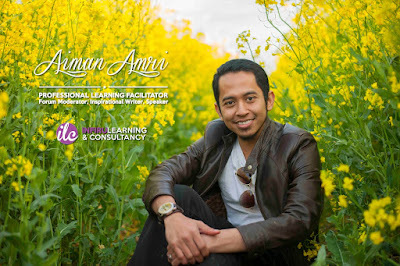 Well then, allow me to share something with you more about it, insya Allah. 1. People usually mistakenly called it introvert and extrovert. How it should be is, extrAvert. With an A. 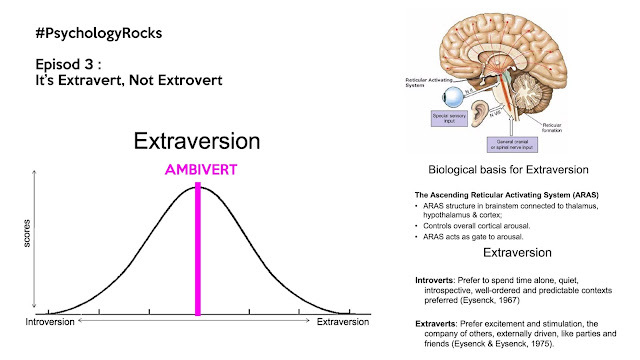 So yeah, it's introvert vs extravert. 2. Extraversion is something related to the Ascending Reticular Activating System (ARAS). For easy understanding, let's just called it as an "Arousal Detector." A system that responsible to give us arousal in our mind. 3. Simply to understand, ARAS is like a glass, our arousal with "social interaction" is like water. Introvert people have small glass, so with just a little "water", it will get full quickly. Unlike extravert people, their larger glass need more water for it to be full. 4. People typically think that there are only introvert people and extravert people. Without many people realising it, there's also someone who share both of these personality. They are called AMBIVERT. 5. Ambivert is someone who are not too extreme on either side, and they quite an extravert among people, and can also be introvert when they're alone. 6. Finally, extraversion is like any other normal curve graph. 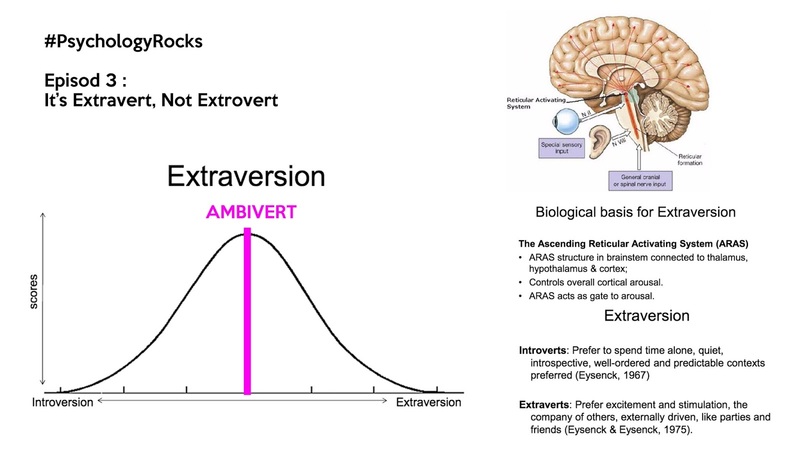 Majority of people stands at the ambivert point, and less at the extreme side of introvert/extravert, unlike many people usually think that it's a black and white personality.